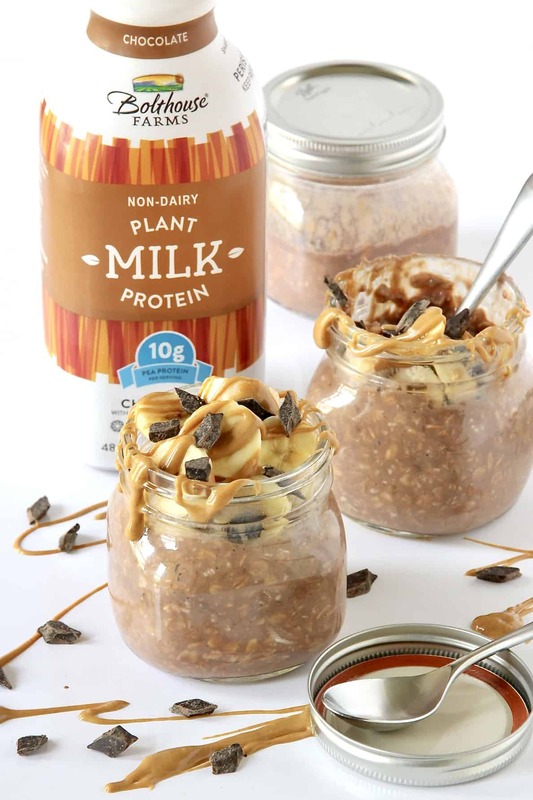 All the good stuff in these chocolate peanut butter banana protein overnight oats made non-dairy with plant based protein milk. 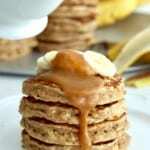 A convenient, healthy breakfast that takes just 5 minutes and 4 ingredients to prep. This is a sponsored conversation written by me on behalf of Kroger and Bolthouse Farms®. The opinions and text are all mine. Thank you for supporting the brands that make The BakerMama possible. 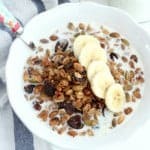 Move over protein bar, these overnight oats are my new favorite way to fuel up for the day after a good morning workout. Just as convenient, more satisfying, and way more delicious than any protein bar. All of my favorite flavors packed into these easy-to-make overnight oats that I can just grab and enjoy on the go. 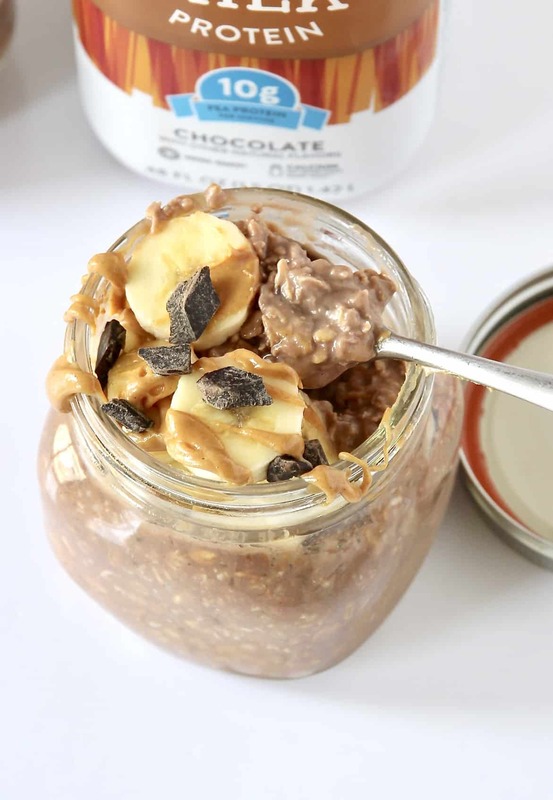 Instead of using dairy milk and melted chocolate to get these overnight oats creamy and chocolaty, I used non-dairy Bolthouse Farms Chocolate Plant Protein Milk. 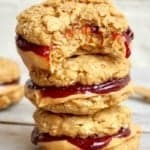 It soaks the oats into a super creamy texture with the perfect amount of chocolate flavor and slight sweetness. But most importantly, it adds 10 grams of pea protein per serving and has 50% more calcium than dairy milk. Yes and yes! We are huge fans of Bolthouse Farms yogurt salad dressings, so when I discovered their Plant Protein Milk at my local Kroger, I got so excited. I’m all about adding protein to my diet every chance I get. The more protein I eat, the better I feel. Starting the day with a good breakfast that’s nutritious and delicious makes all the difference for me. 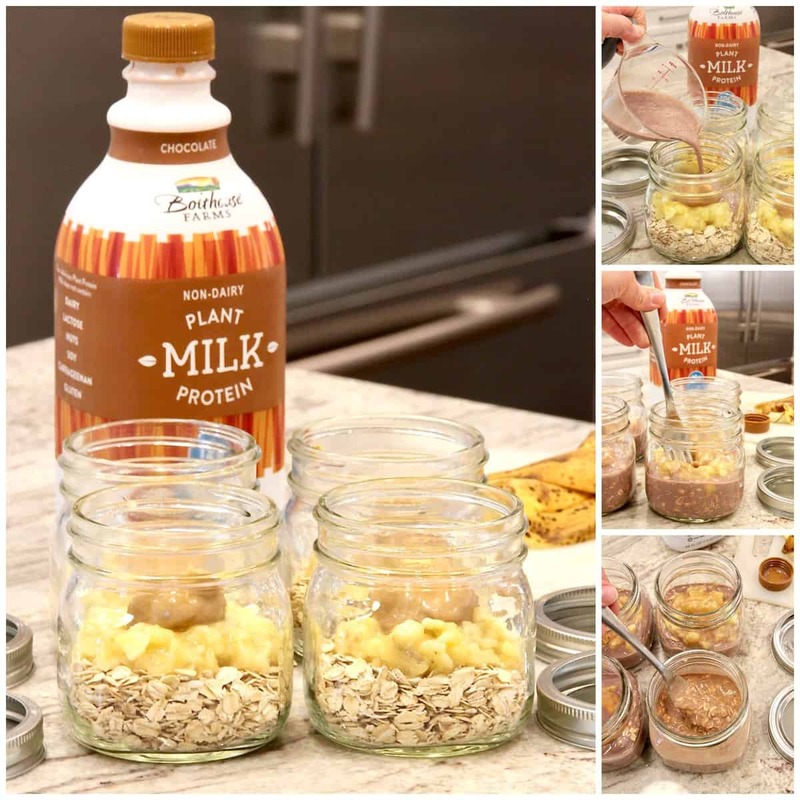 Bolthouse Farms Plant Protein Milk comes in 4 flavors: Original, Vanilla, Unsweetened or Chocolate. So great for drinking as is or using as you would dairy milk in any recipe. Use this digital coupon at your local Kroger brand store to try it out. 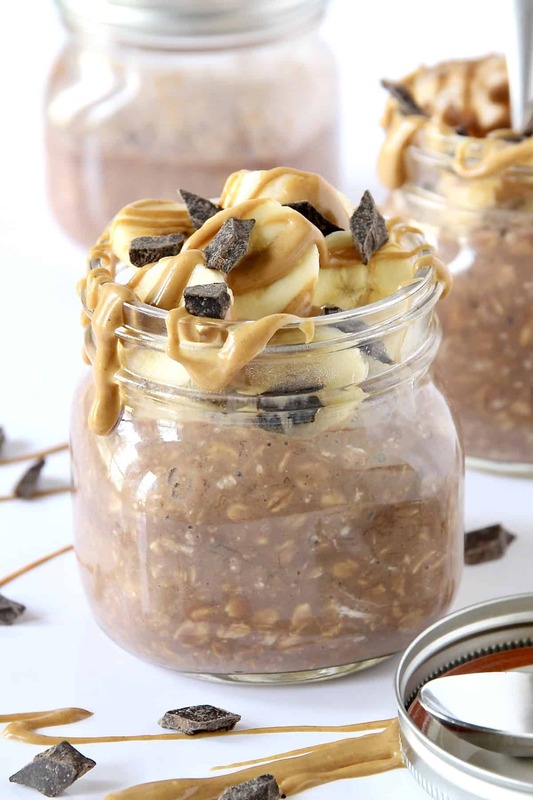 Overnight oats are so easy to make and the results the next morning are just plain enticing. 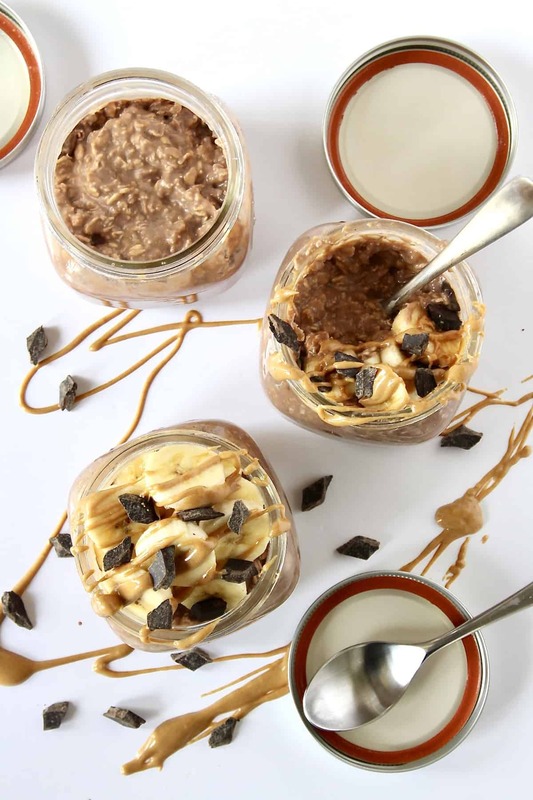 These overnight oats are made with just four ingredients in less than 5 minutes. No excuses when it comes to eating a delicious, healthy breakfast. 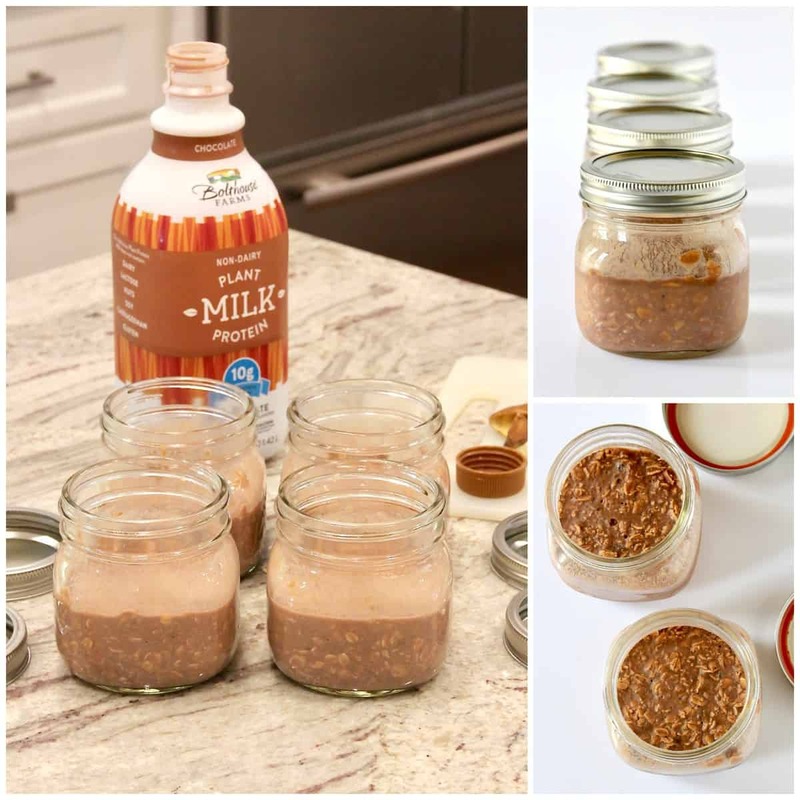 To prep these overnight oats, just add all 4 ingredients to a small jar (at least 8 ounces in size) and give them a good stir before placing the lid on and refrigerating overnight or at least 3 hours. That’s all there is to them. The oats can hang out in the fridge for up to 5 days until you’re ready to enjoy them. The longer they sit in the fridge, the creamier they become. 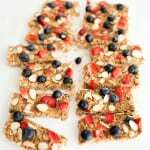 No fuss or big mess when it comes to breakfast or snack time. Just grab a jar and dig in. 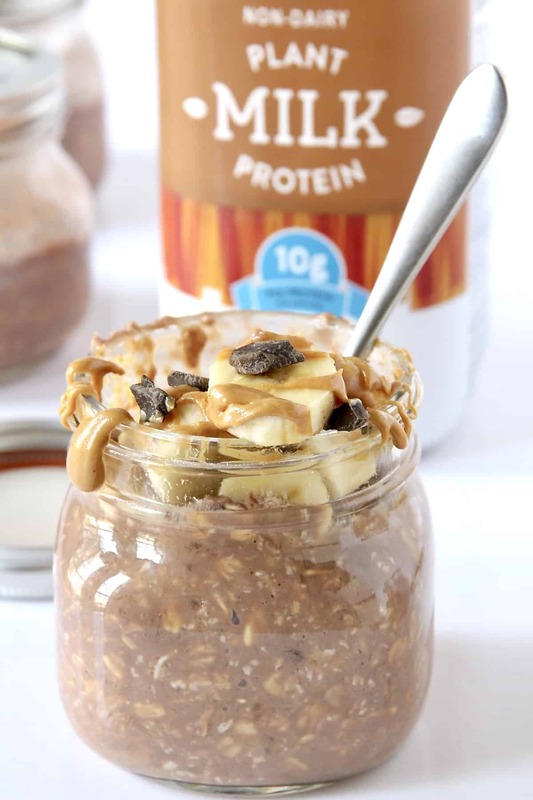 I’ve had to start keeping several jars of these overnight oats in the refrigerator because my kids discovered the deliciousness and now beg for their own jar each morning for breakfast. I might or might not keep a jar hidden for myself at all times because mama needs/craves/wants her protein-packed overnight oats post-workout each morning. Haha! Add all ingredients to a jar (a least 8 ounces in size). Stir well, cover and refrigerate overnight or at least 3 hours until thickened. 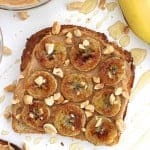 When ready to serve, stir together and top with more banana slices, a drizzle of peanut butter and some chocolate, if desired. Overnight oats will keep in the refrigerator for up to 5 days. The longer they set in the refrigerator, the creamier they become.